Oklahoma Connection | Greer moved with his family to Kingfisher, Oklahoma, when he was in the fourth grade. In 1960, Dr. Greer performed the first coronary artery bypass surgery in Oklahoma, a technique now performed throughout the world – thereby gaining the title, “Godfather of Thoracic Surgery” in Oklahoma. 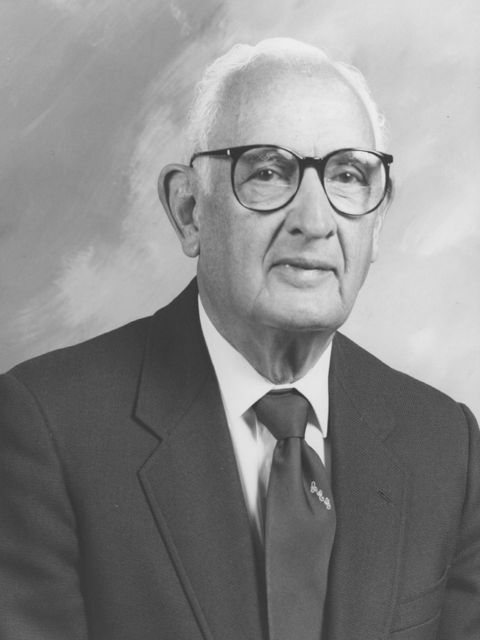 Nebraska native Allen E. Greer graduated from Kingfisher High School in 1936, attended Oklahoma State University and graduated from the University of Oklahoma Medical School in 1942, president of his class. Following service in World War II, he returned to Oklahoma City to begin what would become 50 years in the practice of thoracic and cardiovascular medicine. Joining with Dr. John Carey and Dr. Nazih Zuhdi, Dr. Greer did a great deal of original research in the late 1950’s and early 1960’s regarding the heart-lung machine, hypothermic profusion and the artificial heart. In 1987, Dr. Greer and Dr. Zuhdi did the first heart transplant and in 1990 they performed the first single lung transplant. Author or co-author of over 51 articles in scientific and medical publications, Dr. Greer served on the staff of St. Anthony Hospital beginning in 1951. He was inducted into the Kingfisher Hall of Fame in 1989.